First of all, I’m glad to see people still interested in Lexx! If you don’t know what Lexx is, Hulu has full episodes for the watching, make it through few and you just might catch the bug. I’ve been trying to get into the android app development for a little while now, and thought I’d try my luck with a soundboard side project. Please keep in mind that this current version is more of a prototype right now than anything. I’ll post the clips I’ve made soon, but if there are any suggestions as to what clips I should add, I’d definitely appreciate the feedback. This app is available in the android market. 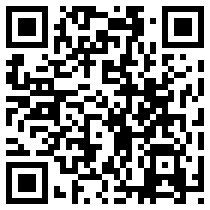 You can use the following QR code, or use the android market website. Unfortunately I lost my android market key so this newer version you will have to uninstall any version older than 0.2.2 first. That was an unfortunate lesson to always keep backups for all certificates. While there isn’t a whole lot visually different in this version, I added a clip and the ability to scroll through the buttons (also makes it a lot easier to add new buttons).